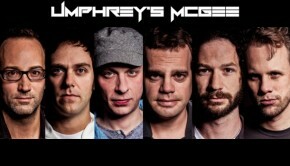 We reported earlier this month that Umphrey’s McGee had announced three June UK shows, to be held at the Brooklyn Bowl based in London’s The O2. Also mentioned in the article was of the band’s latest studio album. Similar Skin will feature eleven tracks, “getting the studio treatment for the first time”, including 4 never-before-heard songs.The band have released a new taster video including Cut The Cable, No Diablo, Puppet String, and Little Gift alongside band interviews. 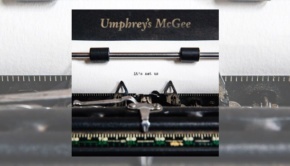 “Genre-defying sextet Umphrey’s McGee announces the release of their highly anticipated seventh studio album Similar Skin (20th July in Europe). Similar Skin will be released via the band’s newly formed independent label, Nothing Too Fancy Music, named after one of their most beloved songs. As one of the most progressive and forward thinking DIY bands around, Umphrey’s McGee continues to set new industry standards where music and the fan experience intersect. Similar Skin features 11 new songs; some part of their vast live repertoire that have been recorded here for the first time. While Umphrey’s calling card for years has been their grand live events, the band’s focus in the studio has continued to evolve and break new ground with each album. The culmination of past recording experiences has brought them to Similar Skin. Following the overall success of 2009’s Mantis and 2011’s Death By Stereo, the band decided to forgo some of the dense productions of the past and create a work that includes more concise tracks filled with addictive melodies and memorable choruses. 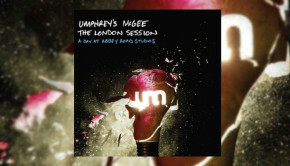 Fans need not worry though, there is plenty of signature Umphrey’s throughout the entire album. Diversity is a trademark of Umphrey’s McGee and it is well represented on Similar Skin. There are few bands that could have so many stylistic touchstones on the same album while blending them seamlessly and brilliantly. From the intricate prog-infused (“The Linear”, “Bridgeless”) to the pop-influenced (“No Diablo”, “Hourglass”) to thick heavy guitars tracks (“Little Gift”, “Hindsight”) and epic rock crescendos (“Cut The Cable”, “Loose Ends”), Similar Skin represents a band that continues to push forward in its 16th year. Umphrey’s McGee will spend most of the next four months on the road, featuring some very special stops along the way. For the first time in four years the band will return to London for a long-awaited three-night stand at the new Brooklyn Bowl venue on June 19th to 21st .